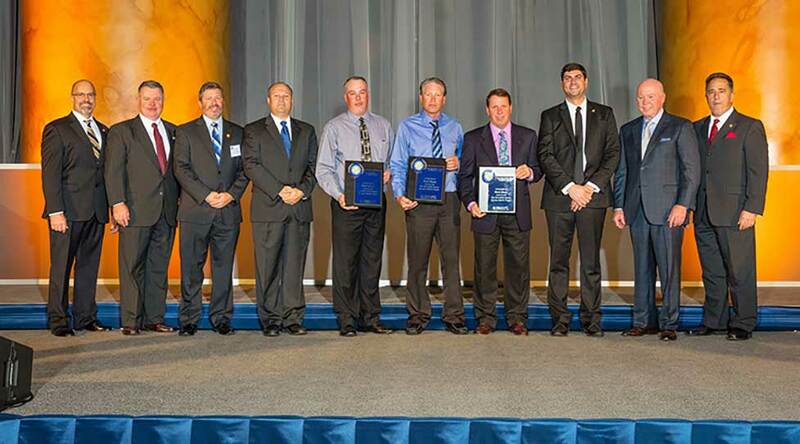 WASHINGTON, DC – The National Maintenance Agreements Policy Committee, Inc. (NMAPC) is pleased to congratulate the winners of the 17th Annual Zero Injury Safety Awards® (ZISA®), the premier safety recognition program in the union construction and maintenance industry. The ZISA® Gala was held on Thursday, November 2 at the historic National Building Museum in Washington, D.C.
Each Zero Injury Safety Award® recognizes an alliance between owner-clients, signatory contractors and local and international unions who worked together in a tripartite fashion to achieve zero injuries on their industrial construction and maintenance projects. This year, 130 winning tripartite teams were honored – the most in ZISA history. Of that number, 128 worked together under the auspices of the National Maintenance Agreement (NMA), while two teams worked under the National Construction Agreement (NCA). Altogether, the 130 winning teams accounted for more than 24 million injury-free hours worked in calendar year 2016 – also the most in ZISA history, shattering the previous record by nearly two million work hours. This brings the grand total of injury-free work hours recognized to more than 225 million since the ZISA® program began sixteen years ago.